These lines, handwritten in one of C.S. Lewis’s notebooks, are, to author and Lewis scholar Dr. Charlie Starr, one more piece in the puzzle of how Lewis grew from a young atheist into one of the twentieth century’s most articulate and ardent apologists for the Christian faith. These lines and their larger context form one of two manuscript fragments Starr has transcribed from this particular notebook of Lewis’s, a complete copy of which is held at the Wade Center. 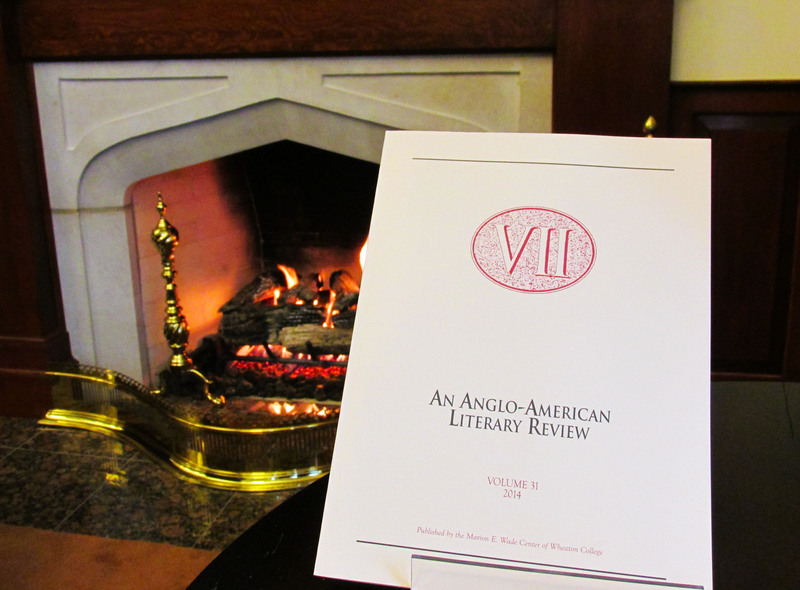 The fragments have been published for the first time in the most recent volume (31) of the Wade Center’s journal VII: An Anglo-American Literary Review. 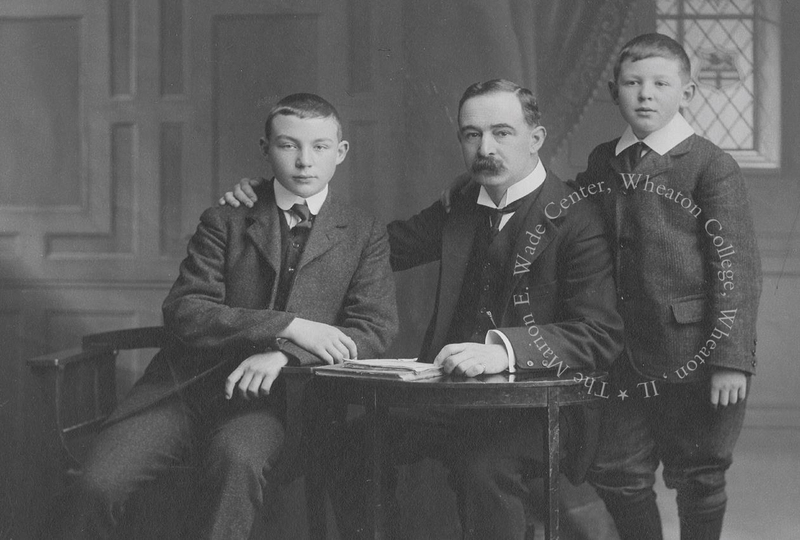 For several years in a row, VII has been privileged to bring a number of previously unpublished pieces of Lewis’s writing into publication through the hard work of scholars who have discovered them among Lewis’s papers held at the Wade Center and painstakingly transcribed and analyzed their contents. But unlike the 30th anniversary volume of VII (2013), which featured mostly articles on C.S. Lewis in commemoration of the 50th anniversary year of his death, Volume 31 has a more comprehensive range, featuring articles on five of the seven Wade authors: G.K. Chesterton, C.S. Lewis, Dorothy L. Sayers, J.R.R. Tolkien, and Charles Williams. 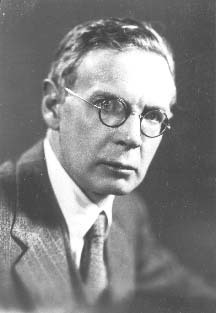 Charles Williams in 1935. Image not to be used without permission of the Wade Center. Here we are pleased to offer a brief excerpt from the article “ ‘It Can be Done, You Know’: The Shape, Sources, and Seriousness of Charles Williams’s Doctrine of Substituted Love,” written by Andrew C. Stout. We find that visitors to the Wade and readers of VII are often less familiar with Charles Williams than with the other Wade authors, in spite of his acuity as a novelist and his influence on and friendship with C.S. Lewis. 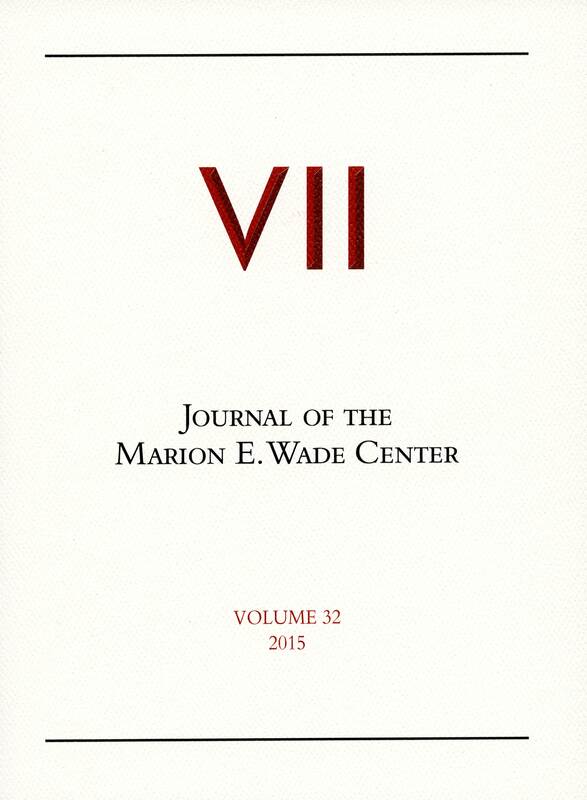 We are pleased to publish scholarship on Williams in VII, in hopes that it will direct more readers to the rich literature this Inkling produced. May the following excerpt from Volume 31 whet your appetite! “ ‘I am serious about the novel—a new strange fantasy in a new style’ (qtd. in Hadfield 142). So Charles Williams commented in a letter to a friend while writing Descent into Hell. One might wonder if Williams would excuse those readers who do not take him completely seriously in their first reading of the novel. Considered by most to be the best executed of his seven novels, Descent into Hell includes at least one of his strangest ideas—that of ‘substituted love’. . . .
“Descent into Hell tells the story of the inhabitants of Battle Hill, a fictional London suburb. The first person we are introduced to is Peter Stanhope, a successful playwright. Stanhope meets Pauline Anstruther . . . at a meeting of the community’s dramatic society. . . . A sense of fear and dread hangs around Pauline from her introduction, and we soon learn the source of her anxiety—her increasingly frequent encounters with an exact image of herself, a doppelganger. As Stanhope and Pauline’s acquaintance deepens, she finds herself expressing her fear to him. “After learning of the constant state of dread in which Pauline lives, Stanhope asks why she has not asked a friend to ‘carry her fear.’ Pauline initially dismisses Stanhope’s odd suggestion as a misunderstanding, but he presses her. . . .
Hadfield, Alice Mary. Charles Williams: An Exploration of His Life and Work. New York/Oxford: Oxford University Press, 1983. Williams, Charles. Descent into Hell. A Charles Williams Reader. Grand Rapids: Eerdmans, 2000. 3-222. Please visit the VII website for more information about this volume, and note that VII is available for purchase online for the first time!